Matouk Newport Monogrammed Bedding Collection is a classically clean lined bedding collection with bold triple appliqued tape line detail. 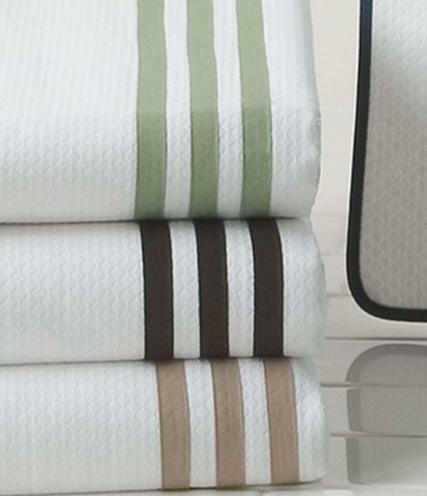 Diamond Pique or Sierra 350 thread count long-staple cotton sheeting feels luxurious to the touch. 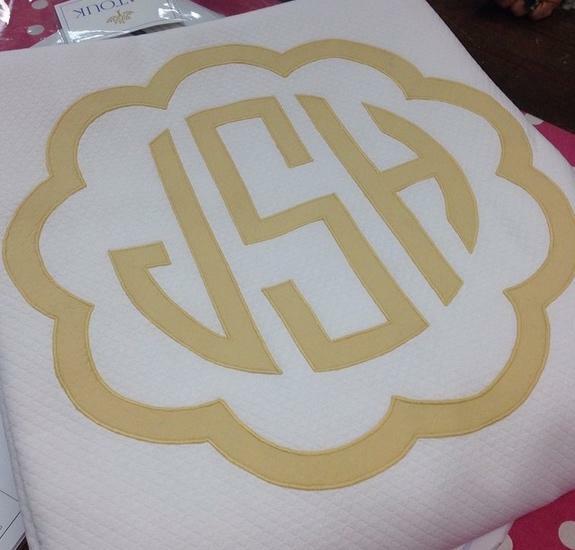 Made in the USA Embroidered or appliqued monogram will be matched to the trim color chosen. Shown in navy three lines of tape and a diamond monogram but change the tape color to coral and give it a script applique and you have an elegant feminine bedroom. This is one of our favorite lines to still have the clean look with a pop of color. Fitted sheets are labeled "Sierra"